You haven't saw Maurer take a single snap of college football but you expect him to start at some point and perform at an all-sec level? Is this just some kind of "feeling"? Like how people feel about religion or something? I doubted JG even when he was a recruit. He looked to mechanical. One speed thrower. He's improved on all those things...and he needs to keep improving. Maurer looked much more polished than JG did as a SR in high school. People are all.over Harrison Bailey and he's not even played his SR year...yet people "know".... he's going to be the greatest ever??? So your religion reference cuts both ways. Cuts both ways? That would imply I'm guilty of that as well? I've never said anything like that about a freshman QB that hasnt played a snap. Why the belief in him? So if you're going to blast people for jumping on JG, then you should at least defend your logic. I said I'm not against him improving. Because he there is NO DOUBT he needs to. Yeah, I've saw people talking about Bailey being the starter as a freshman, taking JGs job... having an all-sec season as a freshman. Sounds silly to make such predictions. I guess all i'm really saying is that I think its kinda silly to seriously think a freshman is gonna come in and take the job from a veteran and then go on to have an all-sec season. Not saying you're dumb or anything. I just think its silly to predict that based on whatever HS film you watched. I might have gotten lost in reply. What question? I am also on record saying that Maurer is on par at the very least with Bailey. And that the extra year in college will push him far ahead, and make Bailey rethink UT. Why do you believe in JG? Oh, this? Why the belief in him? I don't have some gut feeling, existential belief in him. I think the problems he has are fixable and most of the offensive problems had nothing to do with him. If you look how our team is built. Veterans across the board on offense. Sometimes....often times all you need is a new spark. Jake Fromm came in for an injured 5 star at UGA. The 5 star was playing well until the injury. He got healthy and never could get his job back. I think Maurer from a personality and "esthetic" standpoint in football skill is good to exceptional. We'll see. I just want the QB...to lead the team to wins. I think Maurer is the best chance. Had nothing to do with him?? A good QB can cover up many deficiency in an offense. If the line is weak, you can use your feet...move the pocket extend the play and throw the ball to the open guy. If you're a pure passer then as a QB you need to know defensive tendencies and be familiar with each personnel on the other side of the ball each week. Because they know you can't run and your line is week. So they'll come after you. To combat this, the QB has to fake or legit make audibles to make the defense reset. He has to be able to recognize where pressure is coming from. JG so far has shown none of this skill set in his 2 years as a starter. This is individual responsibility/capability. Mentally tough, so you can't count out someone like that. I said most of the problems. Certainly not all. I'm simply of the opinion that if we get good line performance and a decent run game... I think JG can perform quite well. So he was just put into a no-win position? Come on. He had opportunities. You are moving the goal posts. Your gif represents you saying the statement that he couldnt make protection calls was false. So that implies that JG flat out lied to all those reporters. Now thats certainly a possibility but unlikely. I asked you to prove how you know these things about JG yet you cannot. Was he put in a no win situation? Thats not so easy to answer. Pertaining to last season think about a few things. First was the patchwork OL that was barely able to do simple thiings like block on a consistent basis. Then there was the WRs that led the SEC in drop %. Also, there was the rookie OC. Rookie HC that wants a more power style ofgense where as Botch was more finesse. All that being said, JG is not an elite QB. Nobody is saying that. Did he miss some opportunities? Absolutely. Did his surrounding cast and coaches do him any favors? Absolutely not. There were 2 games last year that we had no business winning. Auburn and Kentucky. We won those games fairly handidly. In those games the offense clicked. JG looked very good. But guess who else looked really good? The OL and the rest of the offense. Any coincidence there? Whats the point? The point is people need to stop with the QB is the sole reason an offense struggles and games are won or lost. Because soo many scold/bash single players. JG has made things happen. But as it has been pointed out to you with actual facts, its hard to do when your supporting cast does little to help you. It takes the whole team playing good to win. If you disagree, then please give your reasonings why. I like your style, sir. You are a scholar and a gentleman. 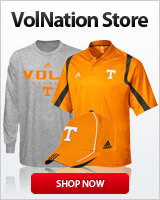 GO VOLS AND GO JG!!!!!!!!!!!!!!!!!!!!!!!!! 3 different Head Coaches or ADs lol.